Gold Arrow was founded in 1933 by Manny Vezie, a former Notre Dame football player under legendary coach Knute Rockne. Manny had a desire to start his own summer program through his experiences working at a camp in Wisconsin during his college years. 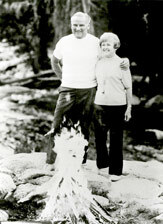 After his death in 1985, Jeanie Vezie, Manny’s wife and co-director for over 30 years, continued to operate Gold Arrow. In 1989, Jeanie sold the camp to former camper and staff member Audrey Kremer Monke. Today, Gold Arrow Camp is directed by Audrey and Steve Monke. They have a commitment to the development of children, and to maintaining the traditions that have made Gold Arrow one of the finest traditional camps in the United States for eight decades. 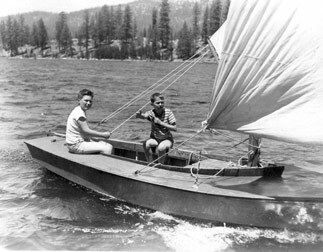 Gold Arrow Camp has attracted children from all over the United States and from several foreign countries. Many campers are the children or grandchildren of former participants. Our second-, third-, and fourth- generation campers remind us of Gold Arrow’s rich history and tradition. 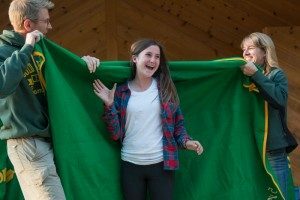 Campers and staff who attend our program for three summers are given a three-year banner, and those who spend five years with us receive a five-year blanket, embroidered with the camper’s or staff member’s name. These are awarded at Appreciation Campfire, which concludes each session. 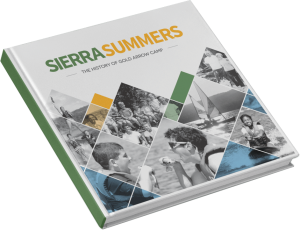 After four years of research, author Chuck “Woody” Radke has finished Sierra Summers: The History of Gold Arrow Camp. To learn more about the book click here.